You already get paid for the work that you do, but what if you could earn prizes and rewards, too? Now the everyday tasks that you do for Virginia International University can earn you rewards! Earn badges, points, and special prizes for completing simple challenges for VIU! Many opportunities for rewards will be announced, but some will just have to be discovered. 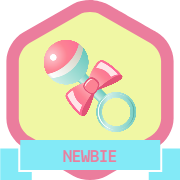 It’s not hard to figure out how to earn the Newbie badge (Hint: see below), but others may be more of a challenge. Completing activities and earning badges and points will earn you rewards. Sound interesting? Stay tuned as we provide you with more updates and information! with the Subject: Badge Me!.